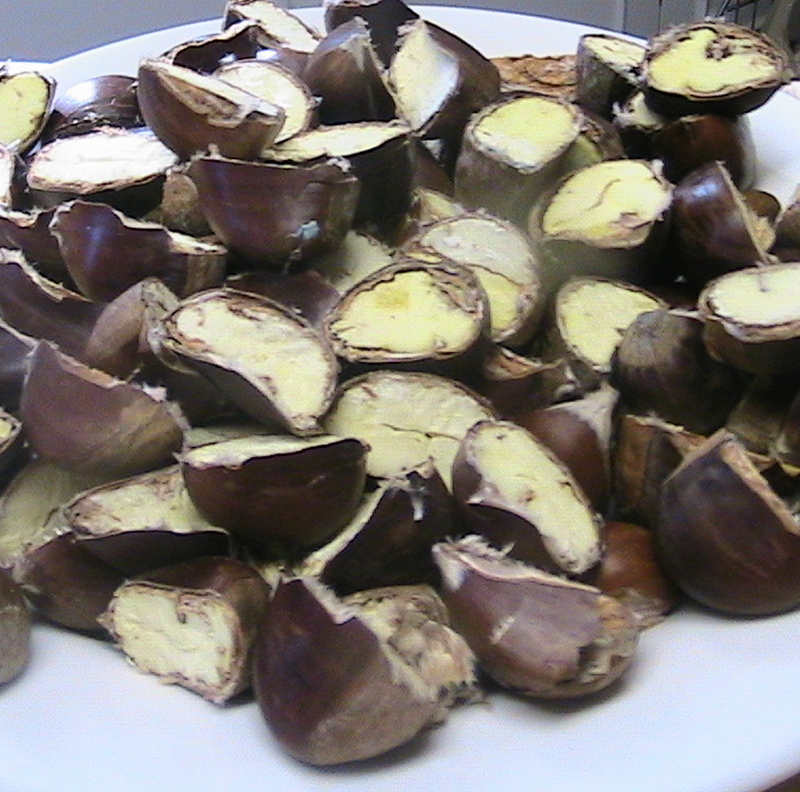 I cooked the first batch of my chestnuts in the obvious way, by roasting them at 350 degrees for 30 minutes in the convection oven. Although not the most romantic approach, they turned out just fine: sweet, meaty, and a little bit nutty. When I scored the nuts with my trusty chestnut knife ($6 well-spent! ), I was surprised to find them soft — nearly liquid — beneath their shells. My in-laws, who are visiting this weekend from St. Louis, seemed to enjoy them well enough. However, they loved the blue cheese that I drizzled with chestnut honey. So did I. 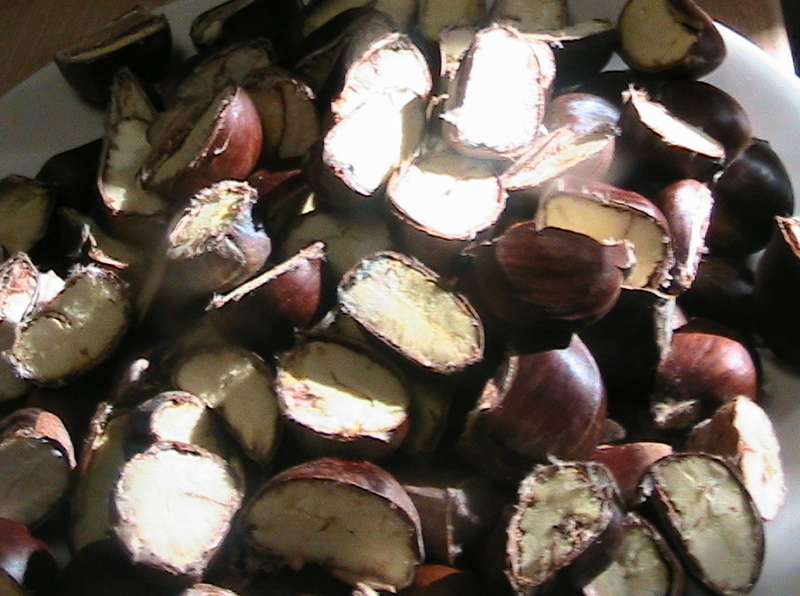 And although I intended this post to be about roasted chestnuts, it looks like I’m going to have much more to say about chestnut honey. Honey is fantasy food, the stuff of imagination. Think about it: bees somehow fashion it from flower nectar. So dreamy… small children would conjure it up it in their play kitchens if it didn’t already exist. The ubiquitous, plastic bear variety suggests a uniformity of honey flavor that belies the more complex reality. Like chocolate, coffee, and wine, the flavor of honey varies dramatically depending upon certain environmental factors — specifically for honey, the types of flowers from which their bees sip. Every flower produces its own uniquely-flavored nectar, the diverse poetry of nature. Chestnut honey has a rich taste that is simply astounding (as I suppose it should be, at $17 for a 400 gram jar). 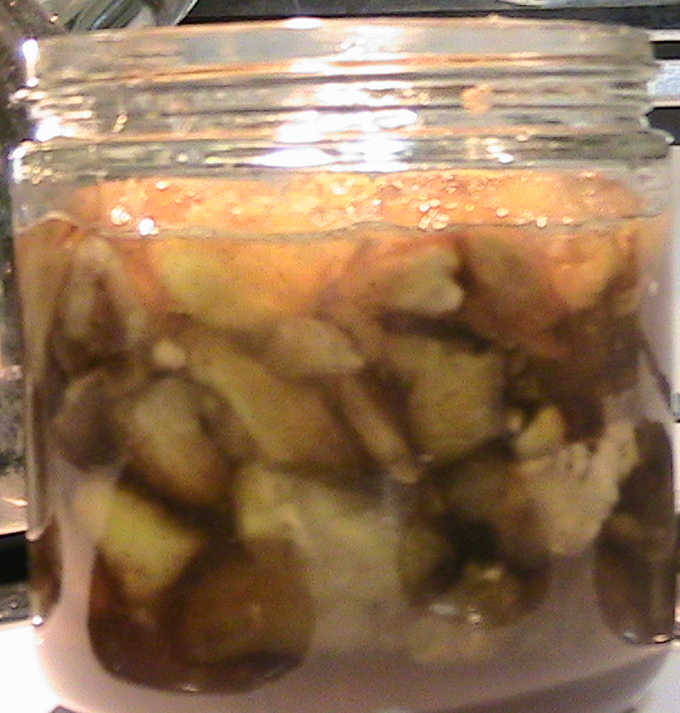 The decidedly complex flavor starts off honey-sweet, then leaves behind a distinct but pleasantly bitter note, similar to darkly toasted bread. The Zingerman’s catalogue describes chestnut honey as having “a fascinating aroma: a little leather, tobacco, almost smoky, like you’re walking in a forest in fall.” The honey also happens to look beautiful, like the color of burnished chestnuts. Because it is so rich, I suspect the little jar that I have will last for quite some time. The honey is too fine for ordinary use though, so I’ll have to come up with other interesting things to do with it. Maybe honey ice cream? As glaze for a cake? Drizzled over soft panna cotta? 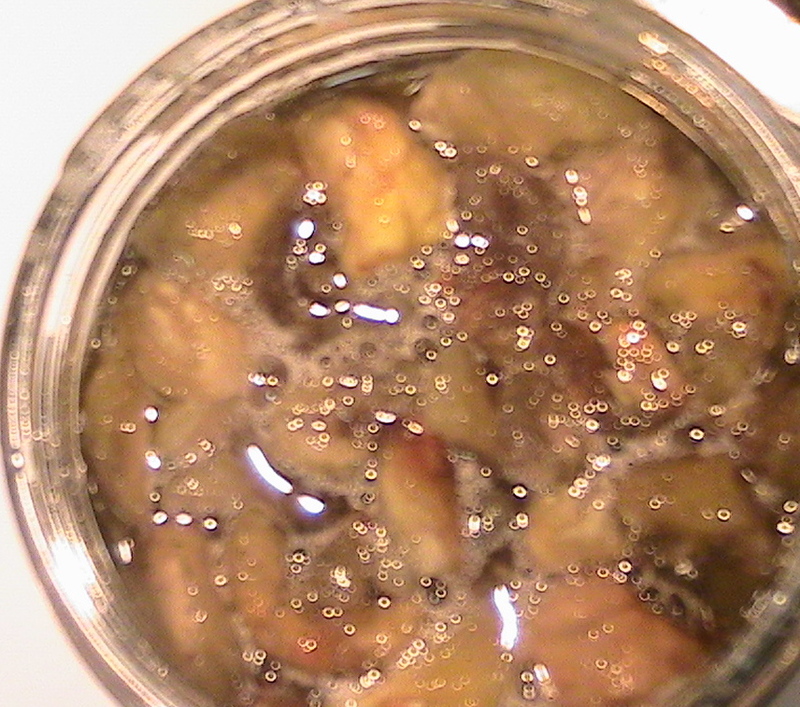 But the chestnut honey will keep for ages. 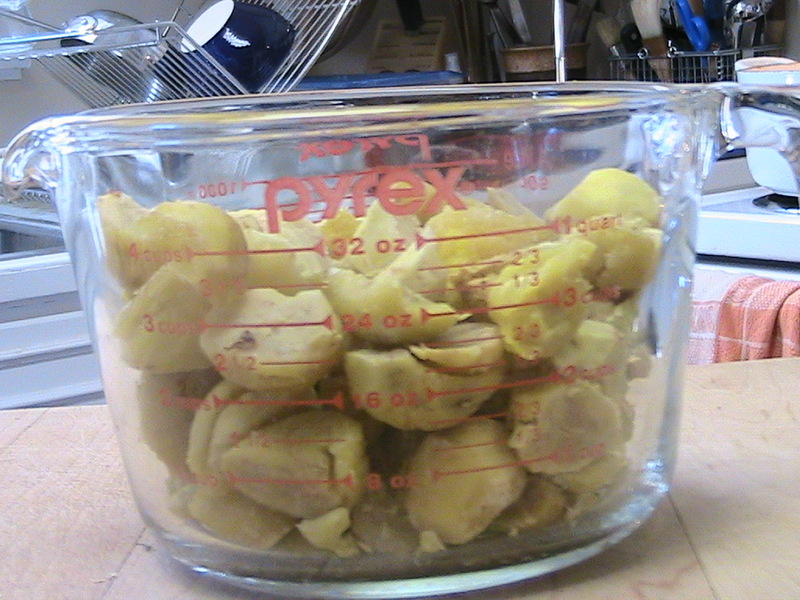 In the meantime, I still have about 3 1/2 pounds worth of fresh chestnuts to dispatch.